Please call us at 403.232.6402 or email parts@mbdtyyc.com to speak with one of our Parts & Accessories Consultants about your particular vehicle needs for the upcoming season. Your first choice for tires – all year round. 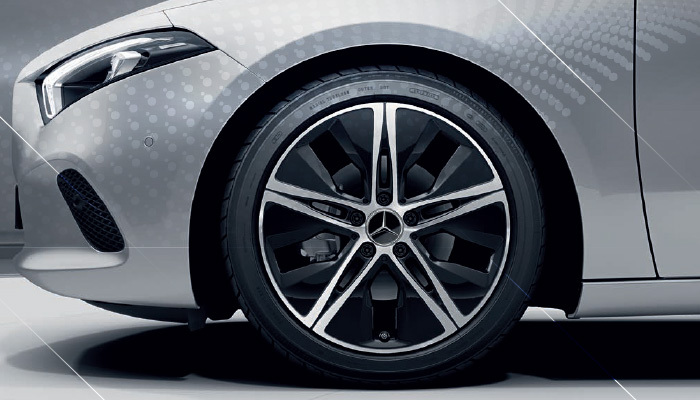 Tires are a vital part of your Mercedes-Benz performance. They’re the only contact your vehicle has with the road, and affect acceleration, braking, cornering, and the overall safety of your vehicle. They meet our stringent specifications, and have been tested for your vehicle to ensure that you continue to experience the superb performance and handling that have been engineered into your vehicle. Mercedes-Benz “Approved” Winter Tires have advanced tread designs that provide a superior grip on cold and icy roads. Quality and craftsmanship you can trust. On the road, every decision counts. Let us provide you with the most uncompromising reliability, performance, value, and safety your Mercedes-Benz deserves. Accept no substitutes. Mercedes-Benz GenuineParts come in many shapes and sizes, but they all undergo rigorous testing to ensure the highest level of quality. 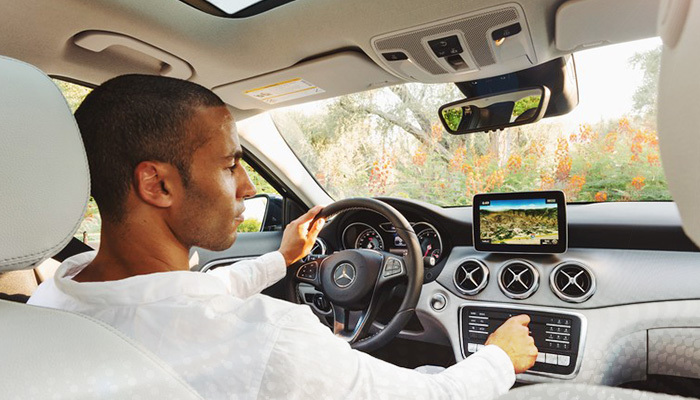 Make a personal statement with your Mercedes-Benz. From alloy wheels to body styling packages, entertainment solutions to roof rack and carrier systems, Mercedes-Benz Genuine Accessories can help enhance your vehicle to perfectly reflect your individual tastes and range of interests. Backed by a two-year/unlimited kilometer warranty, Genuine Accessories are not only made to perfectly fit your vehicle, they are designed and tested as integral components during its very inception. Order your accessories with our team.